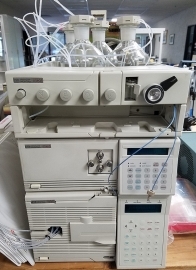 HP 1050 HPLC System - LabTrader Inc. Including isocratic pump, UV/Vis detector, solvent carrier, manual injector. 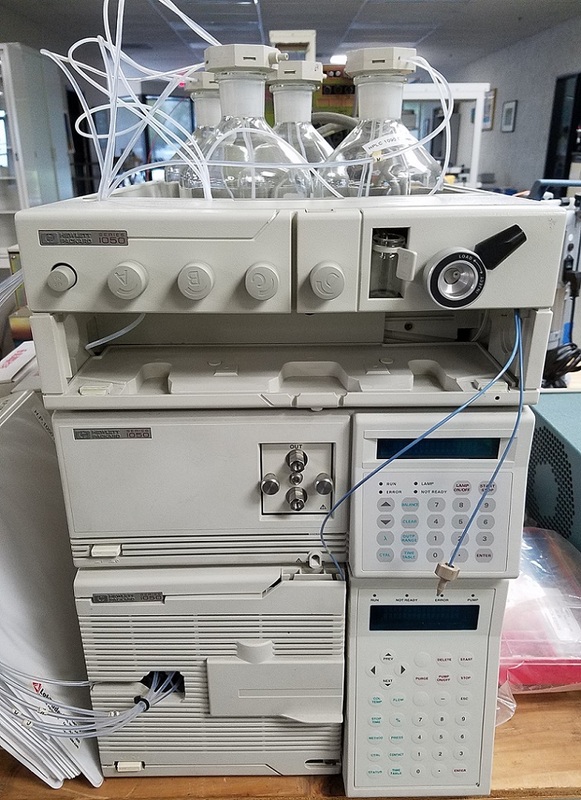 Unit runs on Chemstation software. Computer and software not included. Pump model 79852A, detector model 79853C, solvent carrier model 79856A.